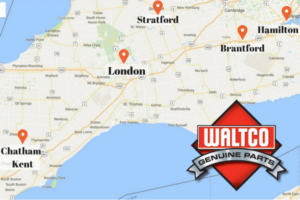 Tech Trailers is the only stocking Waltco Liftgates parts Distributor servicing the complete Southwestern Ontario Region from our facility in London, ON. We specialize in part sales, repairs and installations. View our complete list of stocked inventory parts here, Waltco parts list. We have a growing inventory but can also order in any parts you may need if we don't have them in house. If you have a list of part numbers give us a call and we can get you closer to having the parts you need. If you're unsure what you need, we'd be happy to help you get what's best for your vehicle. The image on the right shows major cities we provide Liftgate solutions for. We also service all the areas in between. To see the complete Parts Price list for Waltco parts we can order and deliver follow the link below. For a parts navigator, click here. We offer discounted prices on the listed Waltco parts. Shipping and Handling Fees apply. 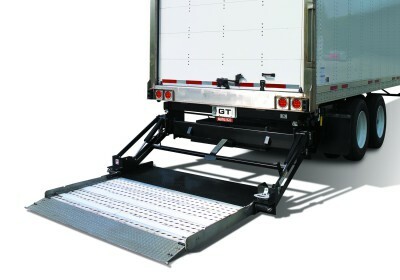 Having a functioning Liftgate/Tailgate is essential for loading and unloading your truck. We perform structural, mechanical and cosmetic repairs on liftgates. We'll provide a free quote, as we deal directly with Waltco we will also supply the the required parts at a great price. 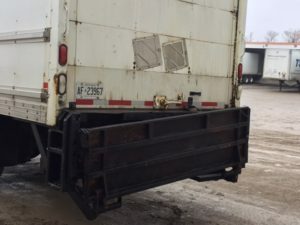 Here is a Liftgate we recently repaired.